This place is awesome! Very clean, new, great staff and yummy restaurant (mostly Italian food). Breakfast was also very good. Staff were excellent, nothing was a problem. All were extremely helpful. The property is fully maintained and in very good order. Our apartment was serviced daily with fresh towels. The breakfast each morning were very good with a great variety of fresh produce.. our family thoroughly enjoyed our time at Mountain Lodge. Perfectly equiped spacious appartment with balcony on the south-west side to enjoy sun even after skiing. I love the size of the living room and kitchen in the 3 bed room apartment. Sauna in the apartment was a great benefit. It's was also very convenient to have hotel ski bus shuttle available via phone anytime. I really enjoyed the stay here. The room was clean and everything, the receiptionist was kind and helpful, i cannot expect anything more. Lock in a great price for Avenida Mountain Lodges Saalbach by Alpin Rentals – rated 9.1 by recent guests! 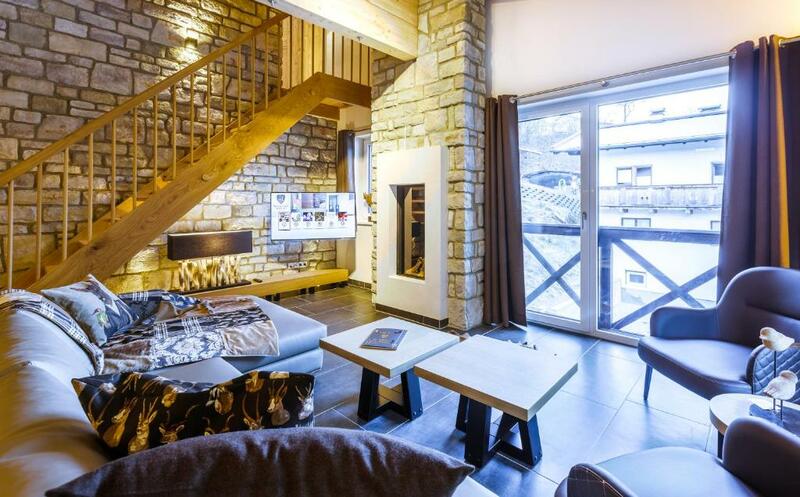 Avenida Mountain Lodges Saalbach by Alpin Rentals This rating is a reflection of how the property compares to the industry standard when it comes to price, facilities and services available. It's based on a self-evaluation by the property. Use this rating to help choose your stay! 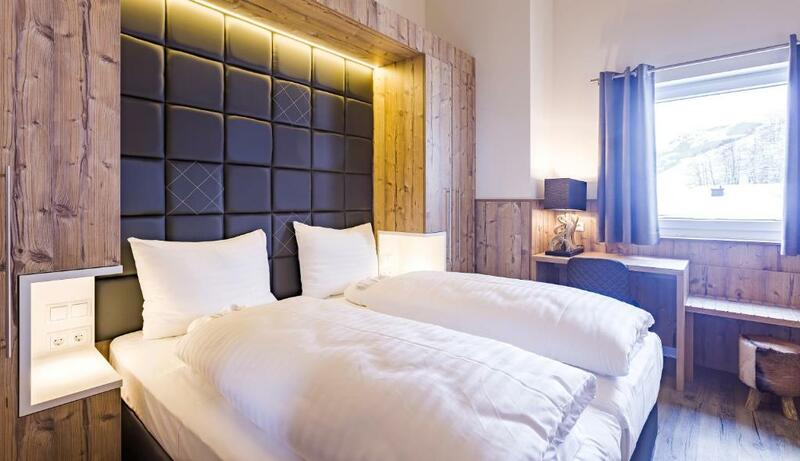 One of our top picks in Saalbach-Hinterglemm.Opening in December 2015, Avenida Mountain Lodges Saalbach by Alpin Rentals offers modern and luxurious apartments and studios, 4.9 feet from the center of Saalbach. The individually furnished rooms and apartment come with a balcony or a terrace, a fully equipped kitchen, and a bathroom with bath or shower and bathrobes. Breakfast is included. Free private parking is possible at Avenida Mountain Lodges Saalbach, while garage parking is available upon request and at an additional cost. 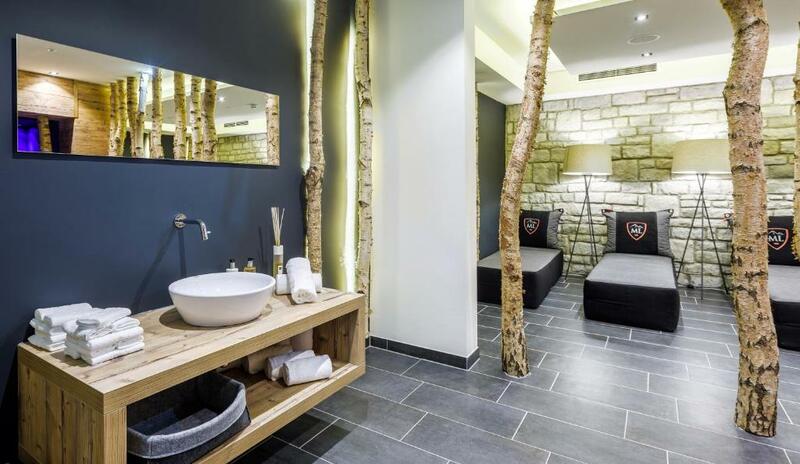 Avenida Mountain Lodges Saalbach by Alpin Rentals also includes a sauna and terrace. Guests can enjoy a meal at the on-site restaurant, followed by a drink at the bar. You can engage in various activities, such as skiing and cycling. The Panorama 6er Cable Car is 0.9 mi away. 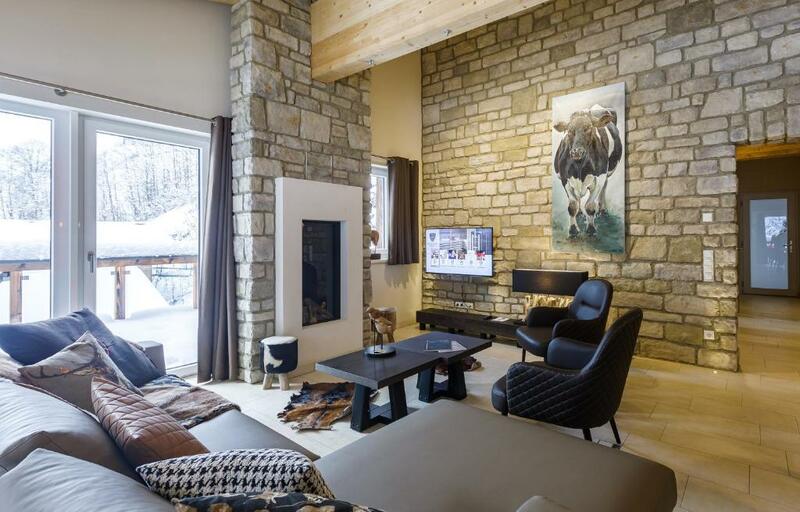 This property is also rated for the best value in Saalbach-Hinterglemm! Guests are getting more for their money when compared to other properties in this city. When would you like to stay at Avenida Mountain Lodges Saalbach by Alpin Rentals? Please note that all studios are individually furnished and decorated. The photos only show an example, and the property cannot guarantee that your studio will look exactly like the ones shown on the photos. Please note that all apartments are individually furnished and decorated. The photos only show an example, and the property cannot guarantee that your studio will look exactly like the ones shown on the photos. Topservice in dit complex met mogelijkheden voor ontbijt en diner in het restaurant Rosso. Heerlijke sauna! Vriendelijk en behulpzaam personeel! Erg betrokken en altijd streven naar de beste kwaliteit voor de gasten. Ideale lokatie in de luwte van het centrum. Vlakbij de skilift, skibus en we bieden een shuttle service aan. House Rules Avenida Mountain Lodges Saalbach by Alpin Rentals takes special requests – add in the next step! A EUR300 damage deposit is required on arrival (around USD336.07). This deposit will be fully refunded 14 days after check-out, as long as there isn't any damage to the property. 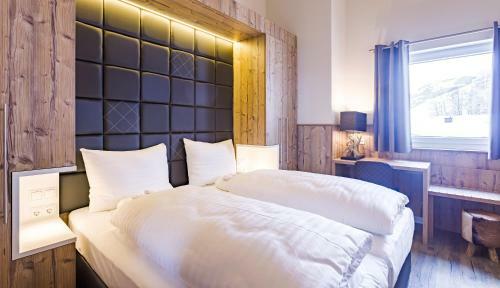 Avenida Mountain Lodges Saalbach by Alpin Rentals accepts these cards and reserves the right to temporarily hold an amount prior to arrival. Please note that a fixed amount of EUR 300 will be blocked on your credit card on the day of arrival. This is a damage deposit which will be refunded within 9 to 30 days after departure if no damages have been made to the apartment. A damage deposit of EUR 300 is required on arrival. That's about 336.07USD. This will be collected by credit card. You should be reimbursed within 14 days of check-out. Your deposit will be refunded in full by credit card, subject to an inspection of the property. No all rooms had fully private bathroom. The location is ok. It is between Saalbach and Volderglemm. Luckily there is a hotel shuttle or the city bus that will take you to the main close ski lifts at no charge. The bad thing is that they stop at 5:00 so you have to take an expensive taxi. Breakfast area way too small for all guests. Staff were amateurish. For £2800 for 4 of us for 4 nights wouldn’t expect that.